Its been a very busy few months since Christmas, and a seldom updated website is sorry proof of that. I'm never quite sure how well viewed this site is, or how much of a marketing tool it is, but it always bugs me when I've been busy as hell and the website looks like I've gone into hiding or fallen down a mine shaft. There's a handful of other projects that have been finished and need to be put up here, but there's interesting new jobs coming into the workshop all the time too. 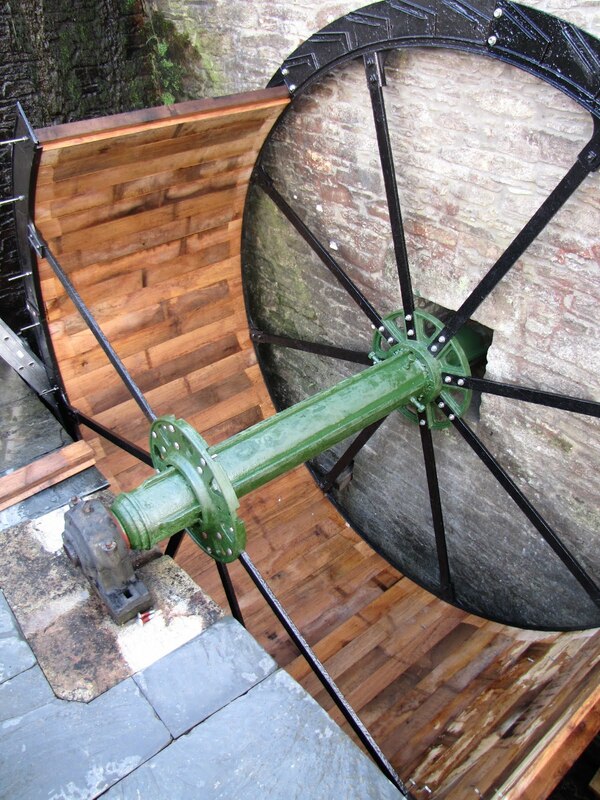 Re-instating this water wheel has been one of those jobs that really gets you buzzing. More engineering than carpentry to begin with, and lots of challenges throughout; the main one being assembling the wheel in a way that kept it balanced and fairly evenly weighted while still providing working access to lift in the heavy cast metal rim and shroud sections. Slowly and methodically proved to be the most efficient as usual, and with the wheel completed we're now putting the final touches to the flume that;l bring the water to it from the leat. 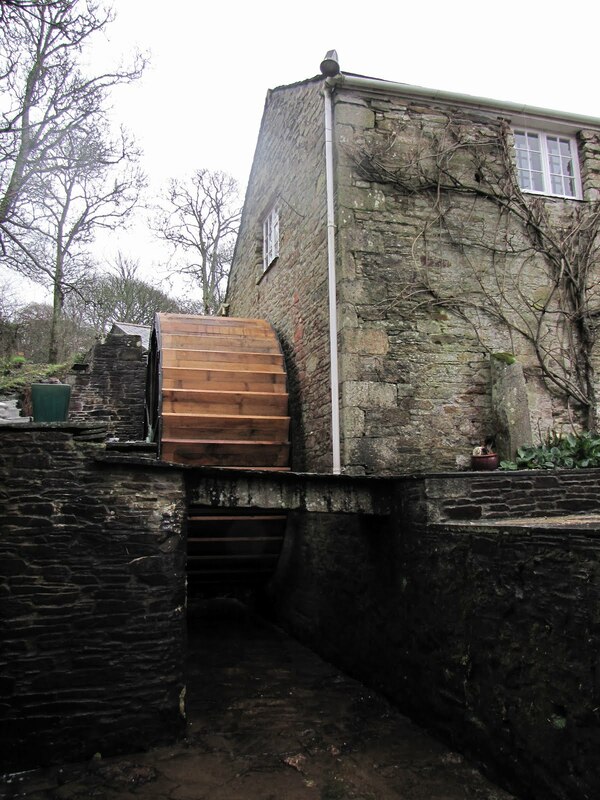 The much awaited opening of the sluice gate beckons. I'm clearly biased, and proud of what we've been given the opportunity to do here. It may have originated from a few miles up the road at Grampound, but we believe its almost identical to the original one at this site....and to me this wheel looks like it belongs here, and the building looks like it needs its wheel to be complete. Sentimental babble? Yes, you bet...just wait til it's turning and its generating power; then I'll really get started with the cliches.